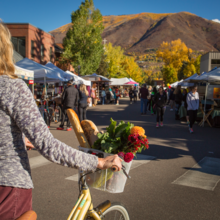 To celebrate the holiday season, the Aspen Chamber Resort Association hosts the annual 12 Days of Aspen. From December 20-31, downtown comes alive with a variety of free holiday activities, special treats, and of course a visit from Santa! 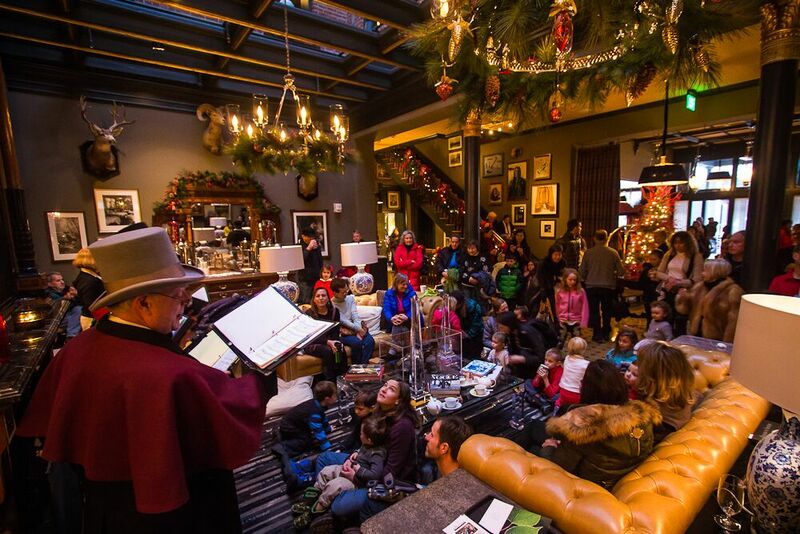 Free activities for this year’s 12 Days of Aspen include caroling at the Hotel Jerome, cookies and cocoa with the Aspen Police Department, s’mores making in downtown, and more. 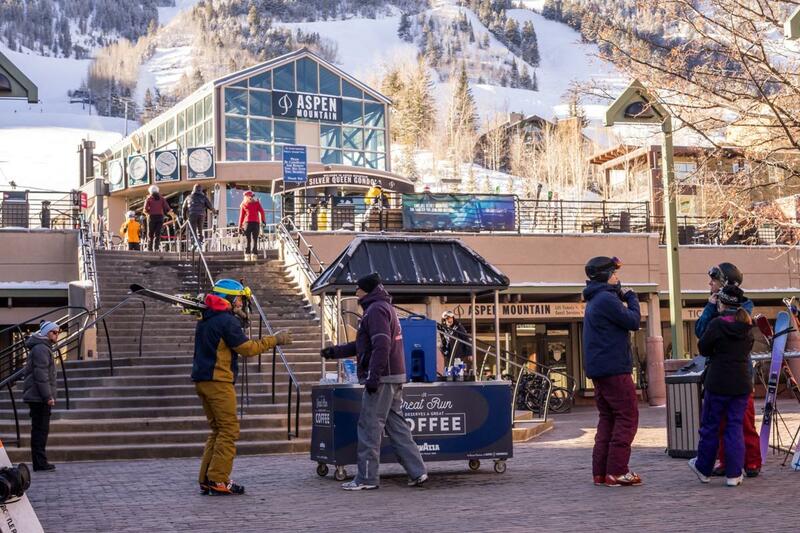 Coffee carts are located at the base of each four mountains in Aspen Snowmass to help with a jump start in the morning. The coffee supply switches out to hot chocolate towards the end of the day. Granola bars and hot apple cider can be found at various stations on the top of the mountains throughout the day for an extra boost. 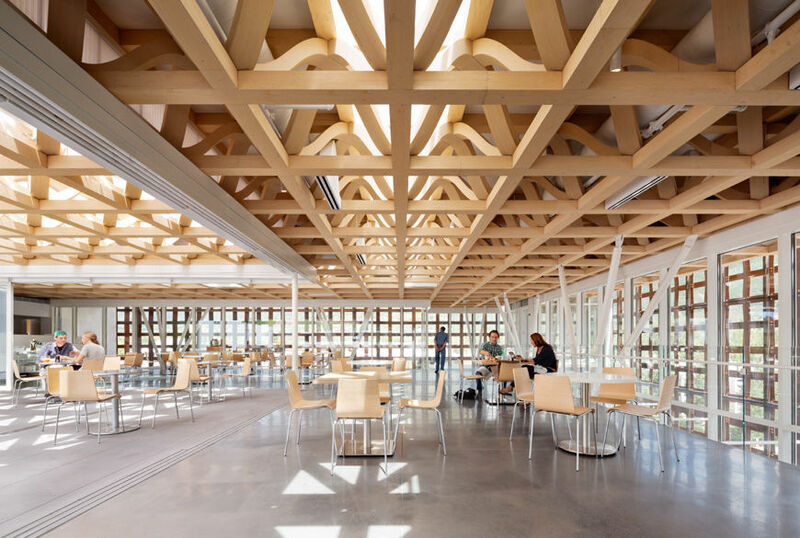 Admission to the Aspen Art Museum is always free, and free guided tours are offered every Wednesday and Saturday at 1 p.m. Just a few miles down 82, guests can visit the Powers Art Center in Carbondale where admission is also always free. The center recently opened a new exhibit of Jasper Johns limited edition works on paper which displays Jasper Johns’ works from 1960 to 2012. “Herbert Bayer: Mountains and Convolutions, 1944 – 1953” opened on the Aspen Institute Campus in the Resnick Gallery in the Doerr-Hosier Building in June 2018. This exhibit features 28 of the artist’s most dynamic compositions and will stay in the Resnick Gallery through June 10, 2019. As a part of Bauhaus 100: Aspen celebration, Aspen Historical Society presents “Bayer and Bauhaus: how design shaped Aspen” opening Dec. 4, 2018. This new exhibit delves into the profound influence of Herbert Bayer’s work on Aspen. The new exhibit will live in the Wheeler Stallard Museum until March 2020. Going up? 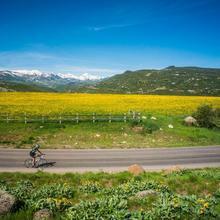 Uphilling is a great workout and is free and open to all at each of the four mountains in Aspen Snowmass. Want to learn more about uphilling? 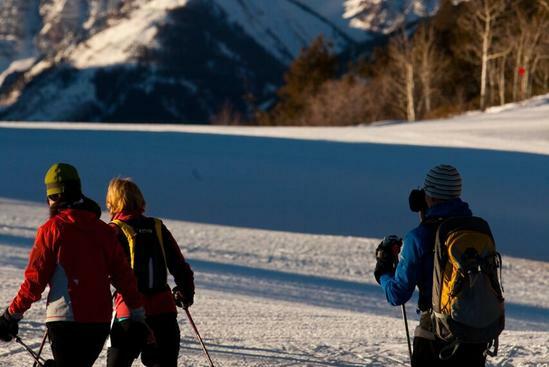 Check out this guide to uphilling in Aspen. Did you know the Ute Mountaineer offers free uphill rentals for Friday Uphill Socials? Details below, contact the Ute for more info. 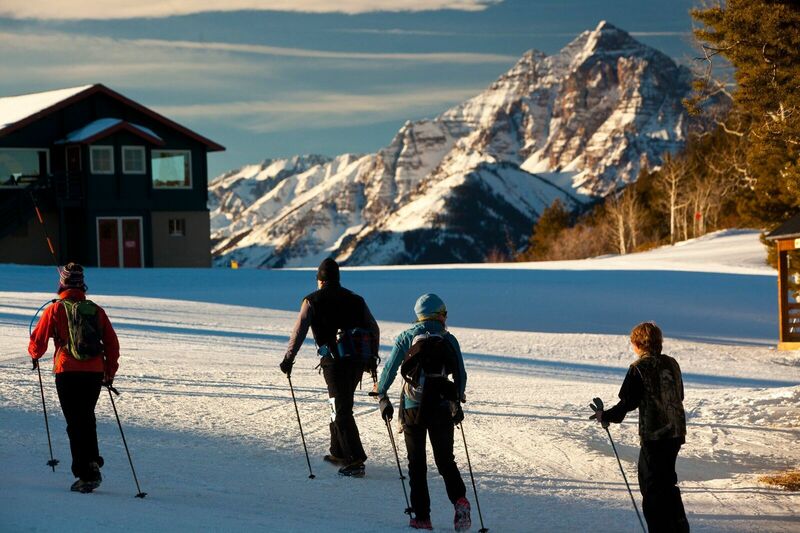 "The Ute Mountaineer is offering FREE Uphill Rentals for anyone who participates in the Uphill Socials! Pick up Thursdays after 5pm and return Friday by 10am and the rental is FREE (please bring a credit card for security deposit). 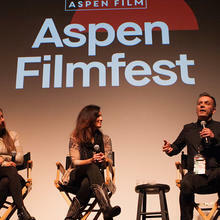 They will even throw in a token for a Free Beer at Aspen Tap compliments of Aspen Brewing Company!" Wintersköl, Aspen's annual "toast to winter," dates back to a quiet January in 1951 when local Aspenites decided to celebrate Aspen's unique Nordic lifestyle with an eclectic weekend of festivities. 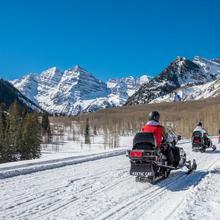 The four-day celebration, taking place January 10-13, 2019, features on-mountain activities, WinterFest, fireworks over Aspen Mountain, and much more. Ready to book your winter getaway? Go for it!